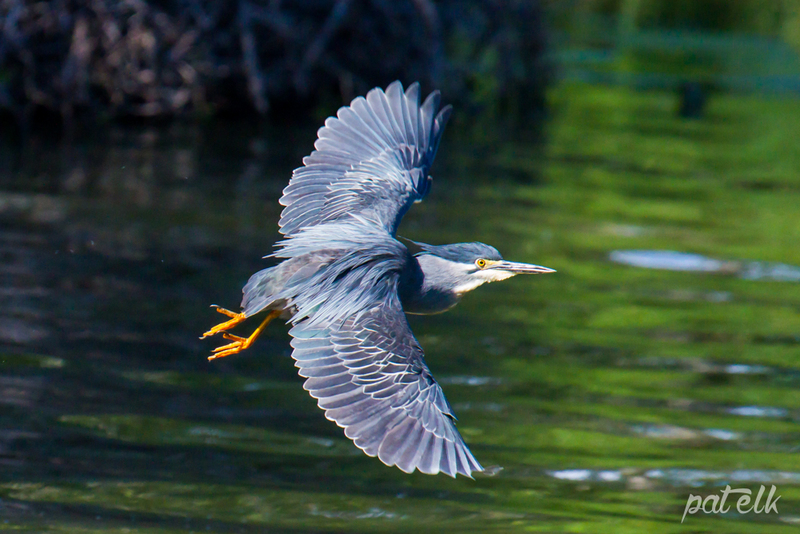 The Green-backed Heron (Afrikaans name, Groenrugreier) is a semi-nocturnal heron, a common resident that is not often seen due to his secretive nature. This heron is a fantastic angler and has been known to fish using bait such as insects, paper and bread, which he drops onto the surface of the water in order to lure the fish to the surface. The Green-backed Heron feeds mainly on fish, frogs and aquatic insects. We saw them at Lake Panic and in the Sabie River in the Kruger National Park.